Intrepid leakster @evleaks has just dropped a few images of a black-boxed Motorola device that appears to be headed for AT&T. It's worth noting that this is the first Motorola product we've seen badged up for an American carrier since the RAZR HD / RAZR M last summer, quite a long time ago. It's also a phone we've seen before. At least, it seems to be. Vietnamese blog Tinhte leaked a device with the codename "XT912A" (XT is Moto's typical device prefix for "DROID" branded devices), and it's pretty clear the two are one in the same in most respects, at least based on what we see in these photos. Here's that phone, below. Insofar as I can tell, these are basically the same handset when looked at from the front. Well, that's not 100% accurate, because @evleaks' images show an AT&T operator notification (likely just a feature of the phone), and more importantly, AT&T's unmistakable "4G LTE" logo next to the signal bar in the third screenshot. 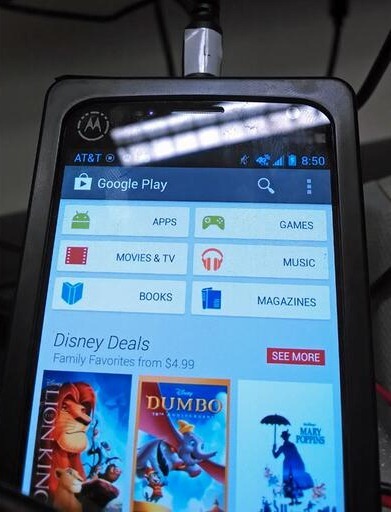 So it does seem likely this device is headed for AT&T. It's also a bit odd to note that the patterned circle around the "M" Motorola logo is different on each photo, meaning these are all different individual handsets. This might be a security measure, or it might just be some funky artwork, I'm not sure. The texture appears to be a faux-carbon fiber, and it's not totally similar to the Tinthe in other respects - it appears this particular device has been configured for use with a black box (the black box having been removed in this photo), and that's likely why the rather ugly screw hole to the left of the camera is there. But here's where your attention should really be: take a look at that product ID sticker - you'll see the rather unmistakable text "XFON ATT" in the top right corner. That's pretty hard to misinterpret. According to the original Tinhte leak, the XT912A they had was equipped with a 4.65" 720p display, a Snapdragon S4 Pro processor, 2GB of RAM, and a rather run-of-the-mill 2200mAh battery. 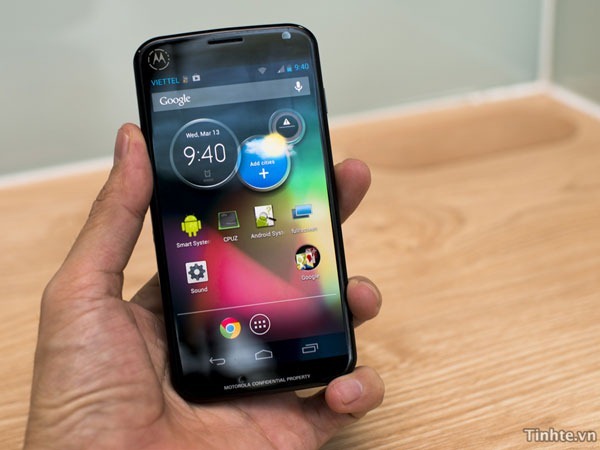 Everything basically pointed to a Motorola device that was on the high end of the mid range, and there was nothing particularly odd about the phone, apart from an indentation around the Motorola logo on the rear cover. 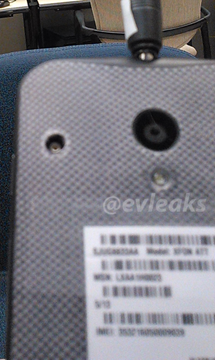 Now it seems at least possible that the X912A may have been an early prototype of the much-rumored 'X Phone.' It's also possible this new version has been retrofitted with more robust internals and a higher-resolution display (the rear cover certainly looks different), but we have no way of knowing. 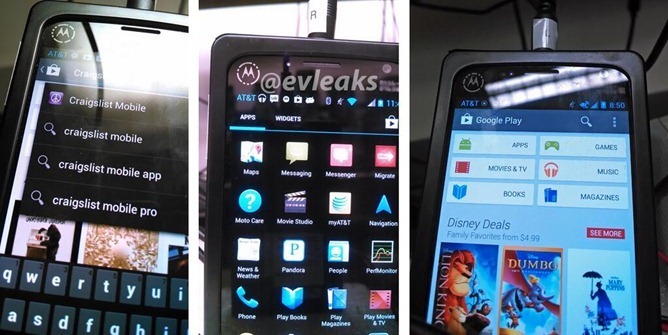 So yes, this could be an early look at something that at least might be the X Phone. If it is, though, it could also change significantly by the time it's actually released. This hardware could very well be a dummy case inside a dummy case, as it were, and little more than a placeholder design while the chassis is finalized. Still, some pretty crazy stuff. [APK Teardown] Google Glass "XE4" System Dump - Are You A Typophile?